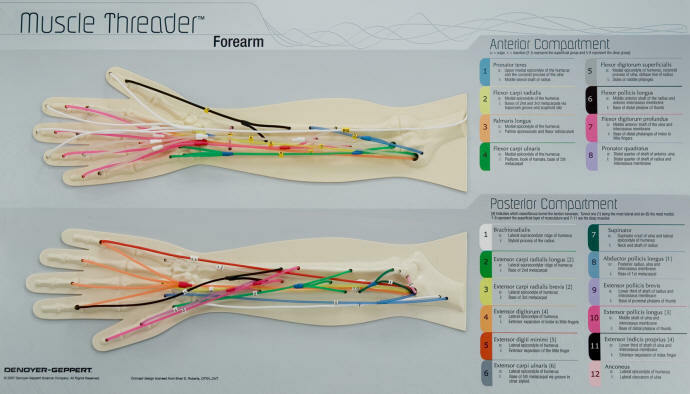 Consisting of a vacuum-formed relief template of the human forearm, this interactive model challenges students to “thread” color-coded strings — each representing a specific muscle of the forearm — through their appropriate osseofibrous tunnels and onto their correct origin and insertion locations. Content is divided into anterior and posterior compartments. 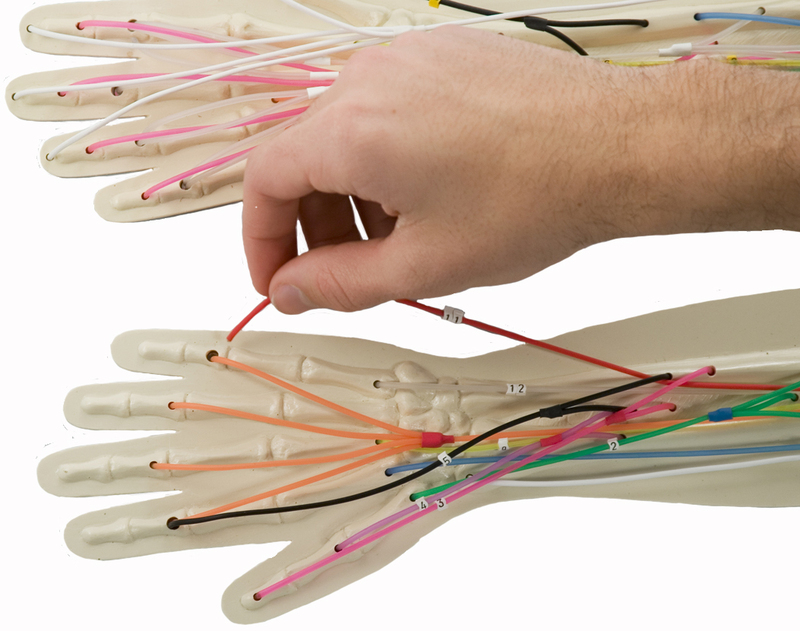 Muscle threads can be detached and restrung repeatedly until mastery is achieved. Featuring a quick-reference key, useful for self-study, review and testing, printed on the model.